Writing can be a bit of a challenge for a Dyslexic brain where too many pictures are competing for attention to get onto the paper first. When they do, the message sometimes looks like a mind-map of a genius, that nobody else can make sense of. The spelling mistakes aside, there are a lack of punctuation marks to separate the thoughts or the commas are just randomly placed to please the teacher. There is a simpler way to stop the brain from spilling over. 2. Dump each idea that comes up to the subject you are writing about. It can be a word, a phrase or a sentence on an individual piece of paper. 3. Sort the papers into 3 – 5 groups, that show a similar pattern. 5. These phrases, made into sentences and strung together will be the main part of the essay. 6. Only then add an introduction and an end that will sum up your argument. Do you like Camping? Why? or Why not? Making sentences to group the ideas: Who doesn’t like an adventure? I had a fantastic time camping with my family and two friends with their parents. …. Categories: Uncategorized | Tags: dyslexia, Ideas to structure essays, Writing | Permalink. I am not a advocate for Stimulants like Ritalin or Adderall etc. – but I am sure there is a place for them somewhere with some of the children. 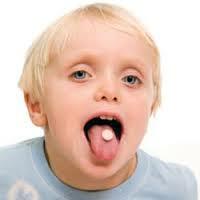 However, the majority of children who are on these ‘cognitive enhancers’ need not be. Most parents are aware of this and are not comfortable to put them on ‘drugs’. They do so either with pressure from the school or being persuaded by a medical professional – or they feel that they don’t want to rob their children from a learning experience they might have, if only they could sit still and focus. So far this was the general opinion: Taking this ‘medication’, children would calm down and learn, their academic performance improve and their also their short term memory. Often this is the case in the short term – but not in the long run…as a new study shows. Testing 4,000 students in Quebec over an average of 11 years, they found that boys who took ADHD drugs actually performed worse at school than those with the same symptoms who didn’t take anything. Girls had to cope with additional emotional problems while on Ritalin or Adderall. For assessment of ADD or ADHD and the possibility of a drug-free solution, call me to discuss a new Attention Mastery Program that helps a child to focus and also improves their grades. Categories: Uncategorized | Tags: ADD, ADHD, Attention Mastery Program, drug-free solution | Permalink. What can I tell my child to feel more confident about their Dyslexia? Depending on their age, using appropriate examples, explain the gift that their way of thinking comes with. My own passion about the abilities of that mind-set probably helps, but all my clients end up being really proud of the fact that they are part of an elite club of people with a Dyslexic learning style. Depending on their interest, I’d point out Walt Disney or Tom Cruise, Keira Knightley or Einstein, Leonardo da Vinci or Quentin Tarantino and just about any top sportsperson. All these people didn’t succeed despite being Dyslexic, but because of it. Most of these individuals did struggle at school, were teased or bullied, but once they found their strength and used their gifts, many of them went straight to the top of their field. In today’s workplace, opportunities for Dyslexics are greater than ever, not only because of our increased need for creative solutions but also our heavy dependence on the internet and technology, which really suits right brainers. Categories: Uncategorized | Tags: confidence, dyslexia, the gift | Permalink. Categories: Uncategorized | Tags: humour and Dyslexia | Permalink. Interesting article from New Zealand…is the same happening in Australia? One of the great puzzles in education today is what has happened to knowledge. Bewildered parents suspect something has happened in schools but are not quite sure what. Knowledge is after all what schools are about, surely – so what is going on? Why does our national curriculum not mention content knowledge? Why is it all about skills, competencies, and values? That a problem does exist can be seen in the general unease felt by many parents but it has taken Sebastian Faulks in his novel, A Week in December, to say it in all its raw truth. Faulks’ character Gabriel the lawyer goes straight to the jugular, saying we have chosen to know less. Gabriel tells of his own luck in being educated “at a time when teachers still thought children could handle knowledge”. He describes how, first, teachers withheld knowledge, then the next generation of teachers didn’t have the knowledge to withhold. In abandoning knowledge, Gabriel tells us, we have chosen to know less. Is he right? Unfortunately yes – our national curriculum is hollowed out of knowledge. As with social experiments in the past, New Zealand takes a perverse pleasure in being ahead of the queue to go that one extra step into the extreme. The reasonable concern with the way academic knowledge was taught in the past led, not to holding on to such valuable knowledge and improving the way it is taught, but to abandoning knowledge for skills. For the past few decades many in education have worried about how to teach, and rightly so, but in doing so, we have taken our eyes of what to teach. The benefits have been some real improvements in teaching, especially in motivating disaffected pupils. But the improvement in pedagogy has come at a cost, one we as a nation cannot afford if we are to remember how to be democratic. Academic knowledge is what makes us intelligent. The practice in doubting, criticising, and judging that such knowledge demands is also essential for a democratic citizenry. We cannot be democratic unless each generation learns how to be so. But academic knowledge requires years of hard work to acquire. It is neither easy nor instant. It needs teachers who are knowledgeable in the subjects they teach and knowledgeable in how to teach that content. Of course there are many teachers like this – teachers who love their subjects and who know how to explain the knowledge. They know that children come to school to learn what they don’t already know and what cannot be learned from experience. This doesn’t mean that experience isn’t relevant. Understanding academic knowledge can be helped by referring to a child’s experience but its purpose is different. Academic knowledge is the purpose of schooling. We go to school to learn a different kind of knowledge from the knowledge of everyday experience. Of course everyday knowledge (or culture) matters. We could not live from day to day in our families and communities without such knowledge. Everyday knowledge is about how to live our lives, how to relate to people, all those little details that we do without even thinking that we have to learn how to do them; like how to ride a bike, how to dress ourselves, how to talk to our friends – all important knowledge but not the purpose of schooling. What does academic knowledge give us that everyday knowledge does not? It teaches us ways of thinking about the world that we cannot learn from experience. Obviously I wasn’t alive during the first migrations to New Zealand in the 14th century but knowledge from history, archaeology, and anthropology can teach me as much as is currently possible to know about who the people were who made such perilous journeys, why they did so, and where they came from. I can’t know a metaphor in the same way as I know how to cook a meal but the study of literature teaches me that here is a wonderful way to put unusual ideas today to reveal deeper meanings, often in startling, even shocking, ways. Who can ever think of greed in the same way again after reading Shakespeare’s “greed the golden leprosy”? The destructive, rotting evocation of those four words lodges in our minds. Such powerful knowledge builds our intellectual architecture so that we can make moral judgments based on reason. Academic knowledge enables us to think the unthinkable, to know what we don’t and never will experience. It enables us to become more human by being connected to the knowledge that has already been created and to the possibilities that lie ahead. None of this comes easily. Sociologist Pierre Bourdieu describes the 20-year-old mathematician who has 20 centuries of mathematics in his mind. Acquiring that knowledge, and for each of us, there are different amounts and different contents, cannot occur without working for it. Sportspeople work hard to achieve success. The same lesson about hard work and commitment applies to academic endeavour. But to achieve success at school there must be something to acquire. What has caused the loss of confidence in education to teach the cumulative knowledge of the arts, humanities, and sciences, and limit us to the confines of culture? Why have we ended up with a national curriculum filled with the skills and competencies of compliance rather than the doubt and criticism that learning academic subjects teaches? There are many reasons. One is the turn against so-called “Western knowledge”. This is the misguided belief that the knowledge developed in the disciplines, knowledge which belongs to us all, is somehow the same as cultural or everyday knowledge. Another reason, one growing in influence today, is also equally misguided. It is the notion that knowledge is a process. That it is not content. This “Knowledge Age” or “21st Future Learning” approach is gaining ground because it offers what some call an exciting digital utopianism. Dispense with the teacher, bring out the iPad, let’s co-inquire together. But pupils don’t know what they don’t know. You can’t look it up on Google when you don’t know what you are looking for. You can’t recognise it when you see it, and you can’t judge it if you do find it. Knowledge is actual content, as philosopher Karl Popper reminded us, a lesson forgotten at our peril. We need to learn it from those who know the content. Good teachers are knowledgeable teachers. When we remember this we will value them again. But it is a status that must be earned. A teacher who says “I co-inquire with my students”, “I learn from them”, “we construct knowledge together” does not deserve that status. If we are to value teachers again, we must first value what teachers have (or should have). This is the academic knowledge found in school subjects that most parents don’t have at home. This does not mean it is only the knowledge preserved from the past and handed down to each successive generation. Knowledge is constantly changing, but not because it is re-invented by each generation. It is the task of those who work in the disciplines to judge knowledge, to retain what has value, to modify and improve, to create new knowledge by adding to the disciplinary canon. It is their task to teach it to those who, in turn, will teach it as academic school subjects to the next generation. These disciplinary experts, usually found in our public universities, have a duty to the nation to ensure that what is passed on is the best possible knowledge available. For this to be the case the knowledge must go through rigorous and ongoing testing. As philosopher Jurgen Habermas says, it should be put on trial to defend its claims. If academics in discussion with teachers and the public do not decide what should be included in the national curriculum, then who does decide? Academic subjects should be taught at school to all students. Obviously, how these subjects are taught is crucial but just because acquiring knowledge is difficult does not mean it is not for all pupils. While the best schools have continued to teach content knowledge, those who have abandoned knowledge have done so with the best of intentions. But it is misguided to believe that “dumbed down” knowledge or using technology can compensate for the hard graft of knowing what you didn’t know. To deny children academic knowledge is to deny to the very children who need the knowledge the most the means by which they can succeed in life. Worse still is the return to the belief that some children can’t handle knowledge. If this was so then why have national education systems? All children deserve the chance to know more than what their culture and community can teach them. It is true some will go further than others but all must have the opportunity. Let’s bring back content knowledge into our schools, before, as Gabriel the lawyer reminds us, there is no knowledge left to teach. • Elizabeth Rata is an associate professor in the University of Auckland education faculty. Her article The Politics of Knowledge in Education won the 2012 British Educational Research Journal paper of the year. What does it feel like being dyslexic? I think they are showing a fairly accurate scenario for a school aged child. Does anyone out there agree? disagree? have another piece of information about how it is like being Dyslexic? Categories: Uncategorized | Tags: Dyslexia cartoon | Permalink. Taken from the journal of G.W. 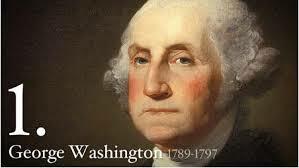 When George Washington was 16 years old and working as a rural land surveyor, he kept a journal. This is taken from his journal – do you think he could have been Dyslexic? Clearly, the talents of a wonderful statesman aren’t relying on his spelling.